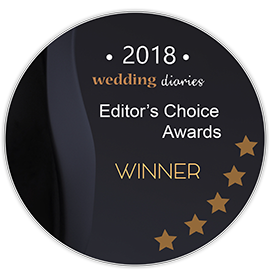 EDITOR'S CHOICE: We've handpicked the best of the best wedding venues in blue mountains to help you choose the right one for your big day. There are very few places in the world quite like the Blue Mountains. 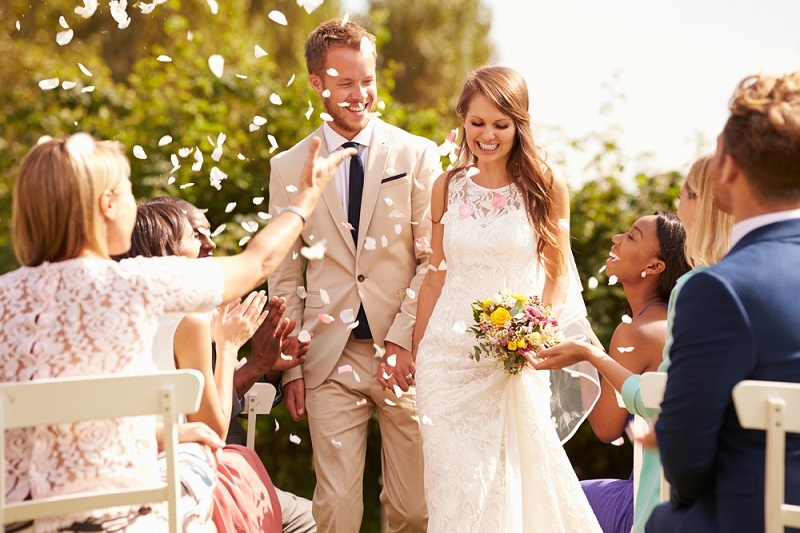 If you are lucky enough to be having your wedding there, you are assured of a wonderful day, and a fantastic start to your married life together. With many venue options to choose from, it can be difficult to narrow it down to just one. So what sort of venue are you looking for? Do you want a historic homestead that looks like it fell out of the pages of a storybook? Or would you prefer somewhere lush and surrounded by greenery? Are you a modern couple, looking for sophistication and five-star glamour? Or a gourmet foodie family who are only looking for the very best local produce and big bold flavours? Are you a unique and different sort of couple, looking for a place as original and outside of the box as you for your personal spin on your DIY celebration? Do you want exquisitely planned and meticulously detailed stress-free package that has all of your decisions made for you already? You can find all of these kinds of weddings venues in the Blue Mountains, and so much more. With incomparable views across the great Australian landscape and service of world-class quality, you are certain to find the right venue here. And to help you along, we have compiled a list of our favourites. Highly reviewed by the couples who have wed here before, as well as their guests, you are in very safe hands with the Crowne Plaza. The venue offers function rooms for up to 130 guests, gorgeous gardens, chapel and lake for ceremony and photos, and stunning accommodation for all of your family. The day spa is also perfect for any pampering you need before or after such an important day. A relaxed countryside atmosphere but brought to you by one of the world’s leading hotel chains, you will be well looked after here. Spicers Sangoma is an intimate and exclusive location for a private wedding celebration. The retreat has a number of locations to choose from for your perfect ceremony, including next the beautiful stone fireplace with Sydney city as your distant backdrop, or other panoramic outlooks over the mountains. At Allview Escape you are nestled within the most glorious natural surroundings and have a view that will leave a lasting impression on all of your guests. Weddings here have exclusive use of the entire estate, with a variety of spaces and backdrops to choose from. Catering is arranged by the venue, as is anything else your heart desires. With accommodation for your bridal party as well, you can prepare, party and wind down afterwards in this relaxing and romantic place. Like something out of a fairytale, Parklands will make all of your childhood dreams come true. The venue is a purpose-built estate with a sleek Hamptons-like feel and 28 acres of manicured gardens, lake and more. Secluded and sophisticated, everything here just sparkles. At Mulgoa Valley they believe that your wedding day should be unforgettable, and they work hard until the wedding of your dreams has been crafted for you and gone off without a hitch. Have your ceremony in the gardens and dine in the reception venue, with wonderful photo opportunities and surprises around every corner to delight you. For the couple who want something different. Say your vows in the garden gazebo and then move to one of the fully-catered spaces for a celebration that will be talked about for years. Wonderful gourmet food, premium beverages and a range of packages will suit all styles of weddings. The experienced events staff will attend to every detail and give you complete peace of mind from the start of planning to the moment you must return to real life. Seclusions is a stunning blank canvas that allows you to create the theme of your individual wedding day. A truly beautiful venue, Seclusions offers a range of package options including outdoor and marquee ceremonies, dining in the Barn or Pavillion, with their inclusions numbering all tables, chairs, linen, crockery, sound systems, dance floor, decorations and more. A historic venue with panoramic views and stunning accommodation, you will never want to leave. Elegant and natural, the style of the Lookout reflects the surroundings of the lookout, which offers a perfect view of the valley of the Blue Mountains. Located in Katoomba, the lookout offers a variety of spaces both intimate and large that can accommodate up to 120 with dinner and dance, or 200 with just cocktail reception. The Wolgan Valley is a magical place of majesty and serenity. This resort offers everything you could wish for; a purpose-built event centre, day spa and luxury accommodation facility unlike any you have seen before. Built within the grounds of a historic homestead, this is an entire realm that will make you feel as though you have fallen through time. There is an incredible range of options and packages to choose from, and their dedicated wedding specialist will work with you to craft your unique day. Built in 1876 as a luxury retreat, and still offering that same exquisite experience today, Mount Victoria Manor offers heritage with a twist. The entire estate has a listing as a 19th-century village, boasting boutique accommodation, fine dining and weddings that are out of this world. For small weddings only, but such an enchanting place that you will deliberately choose an intimate affair. Posh yet country, the historic sandstone amphitheatre at Leura recalls images of summer estates from dynasties like the Kennedys. Located near Leura village, the 12 acres of historic gardens offer a relaxed, romantic atmosphere perfect for wedding photos. Leura can accommodate up to an impressive 300 guests for your big day but is also suitable for more intimate gatherings. Stylish, stunning and stress free, Lilianfels Blue Mountains Resort & Spa sits in the Blue Mountains overlooking Jamison Valley. The venue offers plenty of rooms right on the property, so your guests don’t have to worry about heading home. With an onsite restaurant, bar and gym and the added luxury of a day spa, this venue is particularly well suited for guests looking to expand their stay into a little weekend away. With several venue options, Lilianfels can cater to intimate wedding parties under 20, or larger guest lists up to 100. Echoes stylish boutique hotel and premium wedding venue borders the edge of Jamison Valley at Echo Point. With a dedicated wedding coordinator to assist with your planning and flexible packages, this venue is perfect for couples looking for room to design their own dream vision. Guests will be blown away by the gourmet food and sprawling views of the Valley. With your choice between the boutique hotel, a clifftop garden or the Echoes restaurant, this venue can accommodate up 80 guests. The fully restored Victorian mansion at Yester Grange, combined with its 20 acres of private gardens at the top of Wentworth Falls, offers a uniquely romantic setting plucked from the pages of a Jane Austen novel. Designed as the perfect neutral palette for your chosen style, the venue is light, warm and airy, perfect for couples looking for something timeless, yet unique. With a beautiful, non-denominational chapel and acres of blooming garden sites, Chapel Hill retreat provides a surreally beautiful setting for exchanging vows. Incorporated in the heritage property of Bulgamatta, this gorgeous, pet-friendly venue can accommodate a sit-down dinner for up to 150 guests with onsite accommodation available for 26 guests in addition to the bridal suite. Additional neighbouring B&Bs are also available if needed. Doubling as a working farm, the cows, sheep and chickens who share the property enhance the rustic charm of Waldara Farm. With nearly 800 acres of surrounding greenery, guests will feel instantly transported to the peaceful countryside. This family owned venue is perfect for the DIY bride, and lets you customise your style, catering, and other details using the vendors of your choice. They can accommodate a party of up to 150 guests, with overnight accommodations for up to 20 people.Nearby hotels and innsare also available for others who may wish to stay overnight. While all venues in the Blue Mountains boast impressive views, the historic Hydro Majestic Hotel in Medlow Bath adds a sense of grandiosity with its location atop a cliff overlooking Megalong Valley. Heritage listed, the Hydro Majestic has been brilliantly restored but maintains its eclectic style of art deco mixed with Edwardian. Couples are provided a dedicated wedding coordinator and have plenty of options to choose from with 7 different spaces that accommodate between 40 and 250 guests for dinner, and up to 400 for cocktails. Situated at the gateway of the Blue Mountains in Hawkesbury Valley, Loxley on Bellbird Hill offers a fairy tale atmosphere with its dreamy gardens and lush surroundings. The bridal suite sparkles with romance with a double spa, four poster bed and a verandah overlooking Loxley’s rainforest. This magical space can accommodate over 80 guests with different packages to suit a variety of party sizes. The incredible old property at Collits Inn was originally built in 1823 and offered a welcoming bed and meal to tired travellers. It still provides that same warm welcome to people who have travelled up into the mountains, and it will welcome your wedding guests to the happiest day of your life. Every aspect of your special day can be looked after here, in this lovely place where rustic and elegance seamlessly combine. Positioned squarely in the heart of the Blue Mountains, this airy space features stunning floor to ceiling windows in its enchanting dining area, complete with tea lights and tulle. The Waldorf Leura can host weddings with up to 120 guests, and has onsite accommodation just steps away. Surrounded by lush gardens and greenery, this venue boasts an impressive country garden style. Unlike many venues in the area, the Wildenstein is exclusively yours on your big day – so it has the privacy of home with the luxury of a professional venue. You will also have access toa team of staff to help you plan a unique day that matches your vision! Tie the knot in this timelessly elegant estate. Set in the heart of Katoomba, the Carrington Hotel offers breathtaking views of the Jamison Valley that are the perfect backdrop for exchanging vows. You’ll have exclusive access to a dedicated wedding coordinator who will help you design an event that mirrors your style. The space has three different venues to choose from with maximum capacities ranging from 50 to 120 guests. It’s almost difficult not to have a stunning photo backdrop at any of these Blue Mountains wedding venues. With sprawling views of the valley, stunning natural features like waterfalls and the twisted elegance of eucalypts, we can certainly agree that the Blue Mountains have earned their status as a world heritage site for a reason. Additionally, each venue elevated that already breathtaking landscape with their unique touches, manicured gardens and gorgeous estates. Regardless of your style, if you are lucky enough to be getting married in this stunning region, there is certainly no shortage of beautiful venues, breathtaking views and attentive staff. The hardest part will be settling on just one! As the name would suggest, the Blue Mountains region in New South Wales is most known for its beautiful mountain range. It borders Sydney and surrounding cities, and its lowest ranges are located approximately 50km away from Sydney. In the upper mountains, you will find a lot of eucalyptus, and there are small rainforests in the gorges of the ranges. The lower areas of the mountains offer a temperate climate that is great for outdoor wedding ceremonies and receptions, which can take advantage of the gorgeous surrounds and views. Most of the venues in this region take the form of estates and resorts, but there is also the lovely Botanic Garden and National Parks in the area. Additionally, there are numerous golf clubs, gardens, hotels, spas, and restaurants available for your wedding ceremony and reception. There are several airports near the Blue Mountains area in New South Wales, with the closest being Katoomba airport, a 70 minute drive away. However, we recommend having family and friends fly into the Sydney Airport and catching a connecting flight to Katoomba or driving (which will take them approximately 2.5 hours). Since the Blue Mountains region is one of the most popular tourist destinations in Australia, hotels in the area can be fairly expensive, ranging from $90 – $200 on average, although there are much more luxurious (and costly) options as well, such as the Spicers Sangoma Retreat (about $850 per night). There are also great Airbnb options that are available in the area as well, which will cost your guests upwards of $60 per night. When you are booking blocks at hotels, don’t forget to ask for a preferential rate for your guests! Typically, most people wish to be married in the warmer seasons of spring and summer. For those of you who are looking for spring or summer weddings, look for dates in December to March, with a high of 26 oC in January and a low of 11 oC in December. The colder months that you may wish to avoid are May to September (the coldest month is July, but it doesn’t usually dip below 0 oC). Of course, the higher in altitude you go, the cooler it will get. The Upper Blue Mountain area is on average 10 degrees cooler than the Lower Blue Mountain area. In terms of precipitation, there is a fairly equal amount of rain throughout all the months of the year in the Blue Mountain region. There is an average of 6 – 8 days of precipitation each month, so you should make sure to ask your wedding ceremony and reception venues for a plan b / inclement weather option in case of rain!